With rising identity theft and cyber breaches effecting all corners of our digital landscape, and the growth of cybersecurity breaches impacting both individuals as well as organizations of all sizes - it's important to be diligent, aware, and pro-active in all areas of our digital lives. To meet these constant "Digital Demands" on our personal information security, on the protection against attacks on our computing devices and networks, and to protect the safety of our families and loved ones who are exposed to an ever growing and compromised internet - NCX provides the information, education and tips people need to protect their families, homes and workplaces. 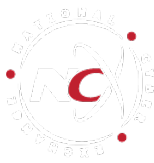 With an NCX|CyberCitizen Membership Program for just $14.95 a year, our educated "CyberCitizens" will receive live, real-time, cybersecurity updates, (via the NationalCyber.ORG website and direct to the NCX|App on either your Apple iOS or Android smartphone). In addition, NCX|CyberCitizens will be able to access a complete library of Cyber Training Information, "Cyber Hygiene" best practices, practical how-tos and non-technical tips and techniques for managing your digital devices, appliances and computing networks. In addition, you will be joining a network of other NCX|CyberCitizens like you that have taken a pro-active step towards educating themselves about cybersecurity, becoming knowledgeable about phishing attacks, malware and rootkits, and protecting their familes and friends against cyber attacks, ransome-ware and other personal information explotation. If you are interested in learning more about NCX and our cybersecurity membership programs, click the Request Information button below. Fill out the inquiry form and we'll get back to you! With the Free NCX|Android and iOS Apps, you will be able to access the NCX|Cyber Exchange On-Line Forum where you will be able to keep up-to-date on developing Cyber Security developments. Below is the Google Play Store screen showing a successful installation. You will be able to sign up for an account to access the full features of the NCX|Cyber Exchange Forum as either a Cyber|Citizen, Cyber|Executive or Cyber|ITPro account user. Below is the primary login screen on first launch. If you are interested in learning more about NCX and our cybersecurity membership programs, as well as our innovative Cyber Forum and Smartphone Apps... click the Request Information button below. Fill out the inquiry form and we'll get back to you with all the details !